The saying that habits die hard seems to hold true for the Peoples Democratic Party (PDP) in its bid to regain strength and stamina. Some discordant tunes issuing from within the party do not give hope that the party has learnt useful lessons from its defeat and trying times. Most commentators and informed insiders hold the belief that unless PDP gets it right and comes out without any chance occurrence from its December national convention, it could get down a political valley of no return. With a crucial general election barely two years away, it is hard to conteplate what could befall PDP if another mass defection happens during the national convention. But by the way some influential members of the party are carrying on, such a crude awakening seems a possibility. To a great extent PDP zoning arrangement for both the office of national chairman and Presidential ticket do not appear to be smooth at all. The party is still speaking tongue in cheek on such fundamental issues that could make or mar the future harmony or progress of the party. It was a party faithful in the person of the second republic Vice President, Dr. Alex Ekwueme, who floated the idea of six geo-political zone structures for addressing socio-political concerns in the country.How therefore PDP finds it hard to make categorical pronouncements on the zoning of political offices, especially those of the national chairman of the party and Presidency is very hard to fathom. The inability of PDP to stand firm and resolute on issues that revolve around laid down procedures and rules may become its new albatross. And in no other area than the national chairmanship and zoning of the Presidency would the dangers of such sentimental approach prove damaging. BY its evolutionary prospects, only the Southwest and South/South zones are yet to serve PDP at the level of national chairman. But, while the South/South zone had a stint in acting capacity, the Southwest has never come that close. It is therefore surprising that the party decided to zone the position to a nebulous south, without being bold and courageous enough to specify which part of the South. This perceived imprecision gave rise to the possibility of fresh squabble by aspirants from Southwest and South/South. This curious zoning arrangement has provided a crevice for aspirants from South/South, which has just finished serving the party on the Presidency. Recently, Alegho Raymond Dokpesi announced his interest to contest the chairmanship position.Dokpesi hid behind the broad zoning of the two positions to south and north to undergird his ambition, stressing that the position of the party does not make room for micro-zoning. 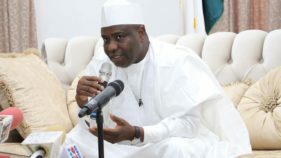 He said the national convention of the party was wise not to zone the chairmanship further to Southwest, arguing that it would be unfair to deny him the right to contest the position outside the express pronouncement of the convention, which is the highest caucus of the party. DEVELOPMENTS within the Southwest do not help matters. First, the ancient and modern Governor of Ekiti State, Mr. Peter Ayodele Fayose, in flagrant disdain for the zoning format, flagged off his presidential campaign, announcing that zoning does not allow the voters to get the best man/woman for the job. Premising his decision to swim against the tide of the party’s stream of zoning, Fayose said it does not make sense to keep waiting for aspirants from the north, stressing that country has been enthroning unwilling and unprepared candidates on the Presidency. However, he promised to abide by the predominant opinion of the party leadership on the matter. But the move by the Ekiti governor has further raised the claim among PDP stalwarts of the place of impunity and lawlessness in the running and ruining of PDP. Even while the legal tangle between Senator Ahmed Makarfi’s National caretaker committee and Senator Ali Modu Sheriff over PDP leadership lasted, some first term governors on PDP platform accused Fayose and his Rivers State counterpart, Nyesom Wike, of being the source of friction in the party. Against that background, the Ekiti governor’s presidential aspiration seems to be violating the quest by Southwest PDP to produce the national chairman of the party for the first time. But analysts and sources within PDP hinted that Fayose was merely positioning himself for a possible running mate to an unnamed presidential aspirant from the Northeast. Furthermore Fayose’s antics could be responsible for the lack of boldness of some party chieftains to foreclose the position of national chairman and Presidency to Southwest and northeast respectively. But over and above the shenanigans of the Ekiti governor, the lack of unanimity by the Southwest caucus puts the party faithful in suspense. This anxious state of affairs must have informed the decision of the former PDP Deputy National Chairman, Chief Bode George, to warn the party leaders against dragging PDP to the fate of defunct All Nigeria Peoples Party (ANPP). Riding on his exposure, experience and inside knowledge of the PDP, George disclosed that while Ondo and Ekiti constitute a zone, Lagos and Ogun, make up another catchment area, adding that Osun and Oyo made up the final zone. 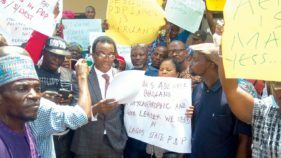 “The incumbent national vice chairman, who is from Ondo/Ekiti axis, was selected because Lagos/Ogun and Osun/Oyo had all served their turns previously,” he said pointing out that the lot has fallen on Lagos/Ogun to produce a national officer of the party, which is national chairman zoned to Southwest. Going by George’s analogy, Lagos and Ogun are highly favoured to produce the national chairman, but some serving governors have shown serious aversion to George. Yet some of the state governors are looking in the direction of the 2015 governorship candidate of the party, Mr. Jimi Agbaje, to step in as the next PDP chairman.And as the mercurial former Ogun State governor, Otunba Gbenga Daniel, joined the race, the Southwest caucus begins a de-marketing campaign, saying that it would amount to rewarding failure to cede the position to Lagos when it has never produced even a senator since 1999. 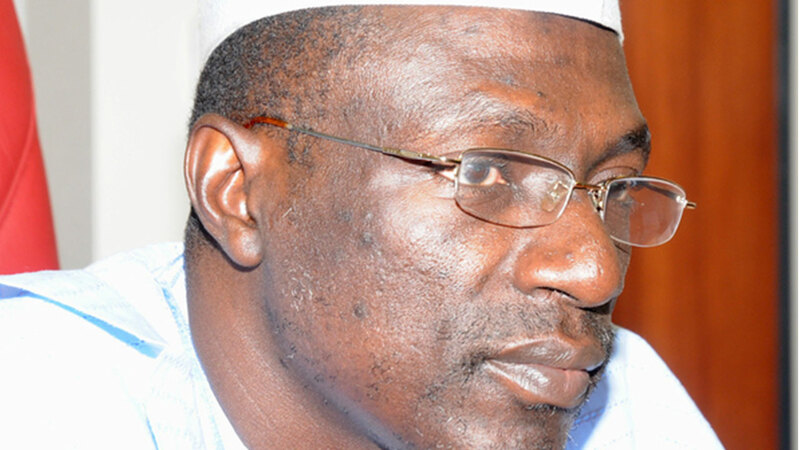 The scenario becomes very dreary when viewed against the background of the underground schemes to conscript Agbaje, as it becomes obvious that some outside interests do not want the former deputy national chairman of the party to succeed Senator Makarfi.Those disinclined to a possible Bode George chairmanship point to his military background and age, saying that as national chairman, he may not grapple with the push and shove that surrounds the office, particularly in the light of anticipated high stakes electoral battle of 2019. Yet, as the former Ondo governor, Olusegun Mimiko, was schemed out by the micro zoning within the Southwest, the candidacy of OGD elicits mixed feelings. Some PDP insiders in the zone accuse the former Ogun governor of belligerence and obduracy. Those who oppose Daniel allude to his political circumbendibus within the past eight years when he navigated more than two other political parties. But OGD is touted as the best option to square up with the opposition and ensure that PDP returns to the Government House in Ogun. Also, it is believed that with OGD as national chairman, the perceived excesses and doubtful loyalty of the senator representing Ogun East, Senator Buruji Kashamu, would be curtailed. Nonetheless, it is left to conjecture whether a renewal of the unfinished battle between the two Ogun political strange bed fellows would allow OGD the peace of mind and focus to grapple with the challenges of reviving PDP and leading it to victory in 2019 at the national level. All these point to the possibility of JK clinching the post, but at the expense of the support and loyalty of Southwest caucus, which has shown pro-George tendencies. Again, although JK’s amiable good looks and dovish demeanour may redound to the new sought image for rebranded PDP, his limited reach in the national turf may pave the way for Dokpesi. The media mogul is said to be campaigning against the backdrop of All Progressives Congress (APC’s) choice of national chairman from Edo, contending that electing a national chairman of PDP from the same state would place the party at a vantage position to build consensus among the other geopolitical zones. 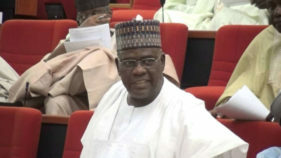 Although most PDP stalwarts from the Southeast have chosen to be aloof in the scheming for national chairman, it was gathered that the Deputy President of Senate, Ike Ekweremadu, prefers a possible Southwest national chairman and South/South Presidential running mate so as to pave way for his fifth berth in the Red chamber, where he expects to be President of Senate. Even if the strategy may put Ekweremadu in good shape for a possible shot at the Presidency in 2023 or thereafter, nothing suggests that most PDP leaders are looking at the electoral chances of PDP in their calculations. The confused approach to the zoning of national chairmanship and the attendant schemes show that the PDP does not seem to have a sound strategic think tank to chart its electoral considerations. And in the absence of precise zoning of the Presidential slot to northeast, particularly the back channel negotiation for an automatic ticket for former Vice President Atiku Abubakar, PDP should go into serious sober reflection to ensure that it gets it right. And just as former military head of state, General Abdulsalami Abubakar, observed, the party did not show signs of excellence in playing the role of opposition, which is the defining stage of party politics. Nigerians would not forgive PDP if it fails to uphold the tenets of fairness, respect for the rule of law and open competition to present a credible alternative to voters in 2019.